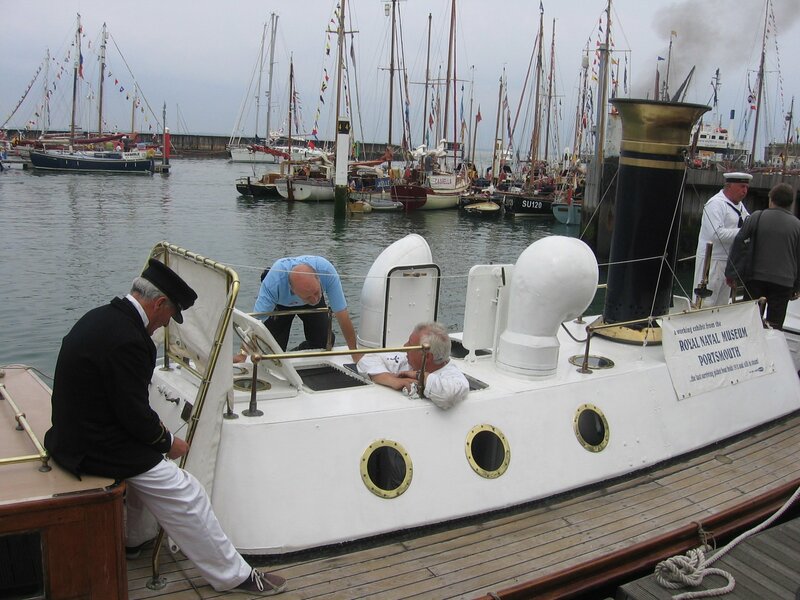 The history of STEAM PINNACE 199 is strongly expressed through the physical changes she has undergone. Built in 1911 and adapted to become an Admiral’s barge in 1918, her hull was first subject to conservation work in 1975. 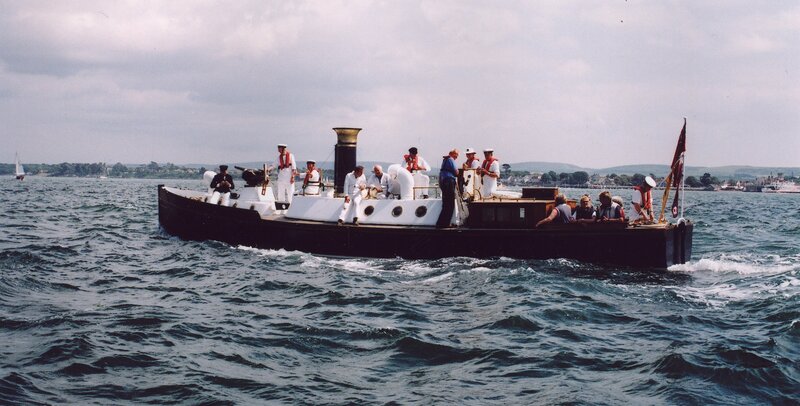 Between 1979 (when she was acquired by the Royal Naval Museum) and 1983, she was fitted with a boiler and compound engine from a similar steam pinnace, the original steam machinery not having survived. During that time, her original steam auxiliaries were also restored to her, having been recovered from a yard in Belgium. The main engine was subsequently rebuilt and the boiler refurbished with a new burner. 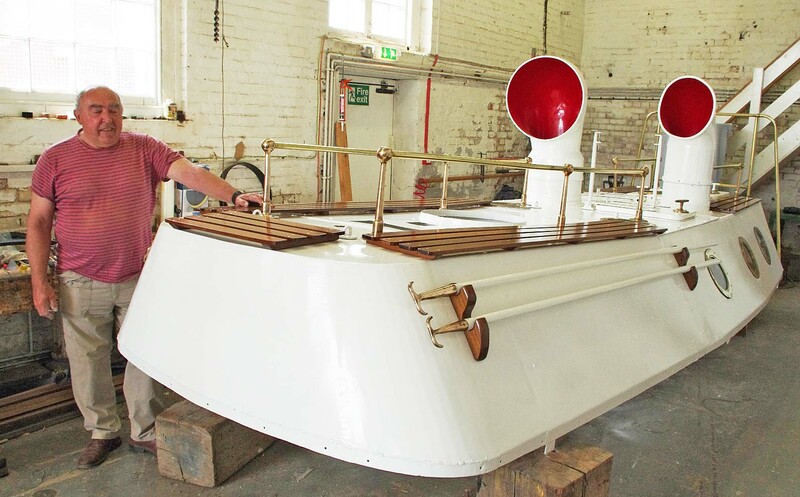 In 2003, the original propeller (which had previously been reduced in diameter to accommodate a petrol engine) was replaced with a new propeller of the correct size to match the steam plant, funded by a grant awarded by the Transport Trust. 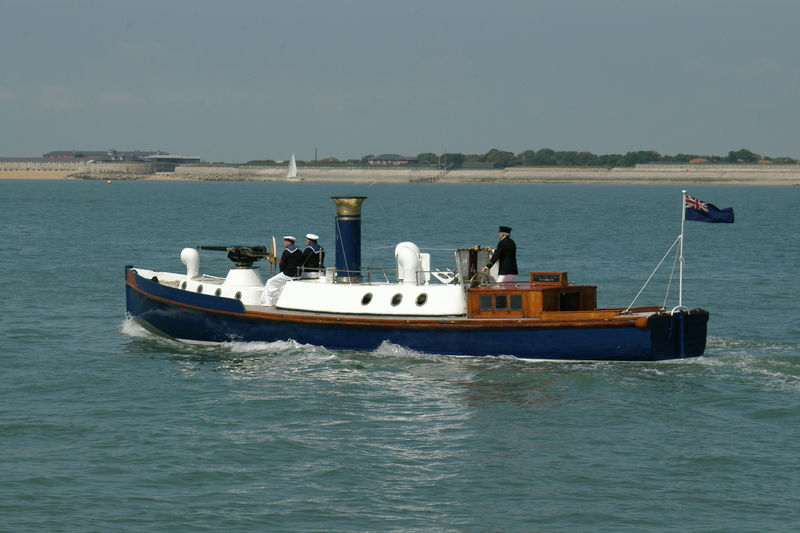 Mirroring the original which had been lost, STEAM PINNACE 199 boasts a Hotchkiss 3-pounder gun built in 1887 and salvaged from the sea by a trawler in 1980. Although the inside of the barrel is corroded, it has been restored to a good external appearance. Overall, the hull and superstructure are mainly original, as are the auxiliary engines. 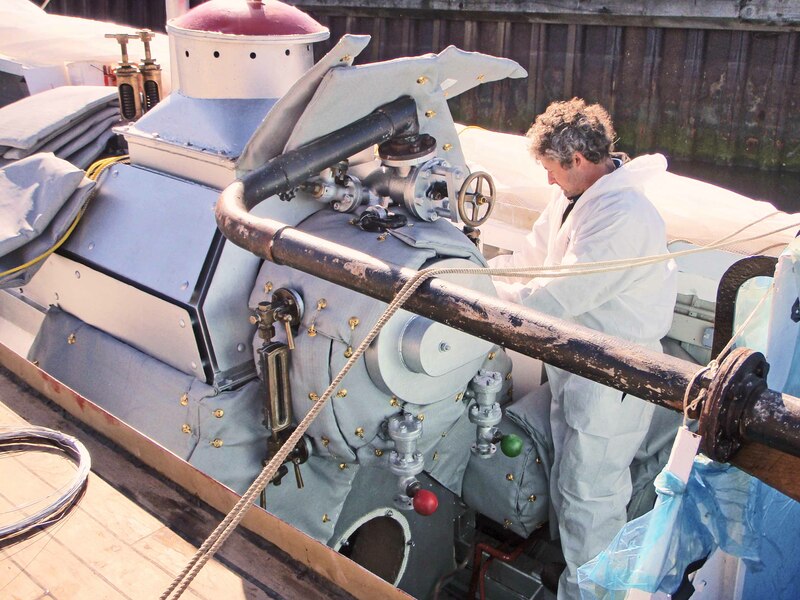 Replacement features such as the propeller, main engines and Hotchkiss gun are in keeping with the origins of the vessel, making this vessel highly authentic whilst displaying changes in structure which reflect the history of the ship. STEAM PINNACE 199 was built by J. Samuel White of Cowes for the Royal Navy as one of the two duty boats usually carried by capital ships. Pinnaces armed with Hotchkiss guns were often used as picket boats patrolling capital ship anchorages. Their ability to move and fire at speed made them an excellent defence against the torpedo boat threat at the turn of the nineteenth century. In 1914, the Navy List indicated 634 of these craft afloat. There is evidence to suggest that STEAM PINNACE 199 was associated with the ‘super-dreadnought’ HMS MONARCH. 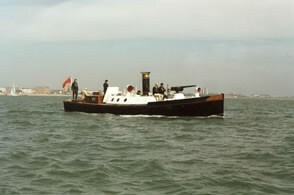 Today STEAM PINNACE 199 is the last surviving naval steam pinnace and remains in operational use. During the Second World War she served in Portsmouth Dockyard, often with a WRNS crew. In 1952, she was taken from Portsmouth to the Thames (when her steam engines were removed) for conversion to a houseboat, being skippered on the voyage by Lieutenant Hugh Roskill. Details of this voyage were later published in Commander Stapleton’s book on steam pinnaces. 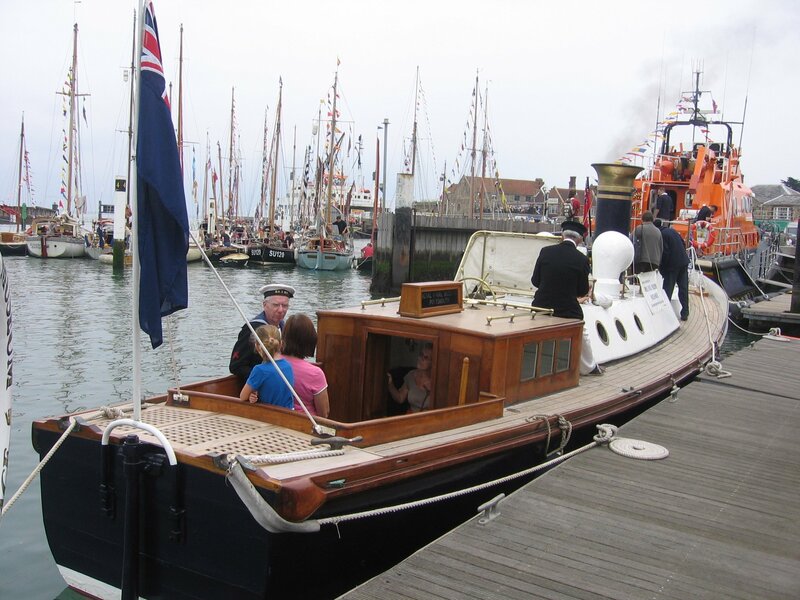 Since 2001 STEAM PINNACE 199 has been used as an operational exhibit taking part in numerous festivals and rallies including the International Festival of the Sea, the Yarmouth Old Gaffers Festival and Southampton Boat Show. 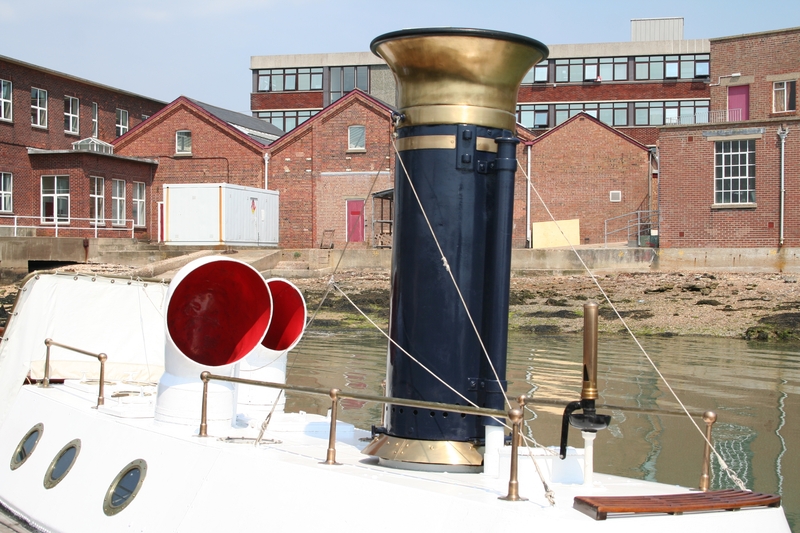 STEAM PINNACE 199’s brass funnel represents the change in her function when in 1918 she was converted from a duty boat to an admiral’s barge. The notably large shelter accommodation reflects her use as an official barge and the needs of the relatively large crew for a vessel of this size during her time operating as a pinnace and picket boat. With a narrow hull, sleek lines, powerful steam engine and impressive ordnance, STEAM PINNACE 199 was designed as an effective fighting vessel to operate in shallow waters with the capability of moving at speeds of up to 12 knots. She remains an aesthetically pleasing steam powered vessel, and continues to be based as an operational vessel in the Portsmouth area. Amongst the collection of the National Museum of the Royal Navy in Portsmouth (NMRN(P)) is a 50-foot steam vessel known as Steam Pinnace 199. 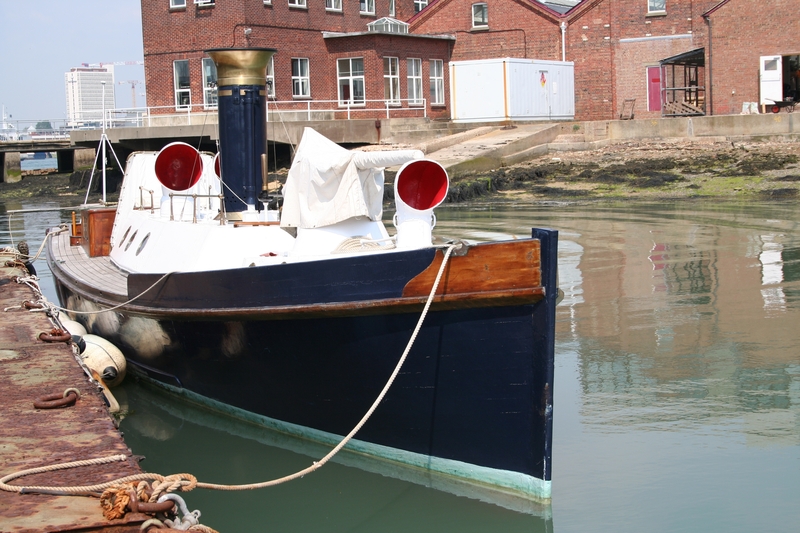 She's believed to be the last remaining steam picket boat on operational service. For an extended period, it's been believed that she was built for the Royal Navy at J. Samuel White's Yard at Cowes in 1911. This was based on a plate found on her boiler circa 1980. However, recent research indicates that her machinery was originally fitter in pinnaces 208 and 224 (the machinery was frequently switched around between pinnaces to increase availability and for ease of repair) and the hull, stern cabin and funnel came from 224. 224 was built by J. Reid of Portsmouth and she was assigned to HMS Inflexible, a battlecruiser of the Invincible class built on the Clyde. She would have been one of the two steam pinnaces carried aboard for duty as picket boats that would protect her when at anchor and carry officers and men ashore, and was also used as the admiral's barge during Inflexible's visit to the USA. She was returned to the Boat Store at Portsmouth prior to a career as a harbour duties pinnace and later use as the Captain of the Ports' barge. The museum has decided that despite the new findings, the title of 199, which she has been known for many years, will be retained. In 1949 she was sold out of the Navy and stored in a boatyard at Forton Lake off Portsmouth Harbour. In 1952, she was bought by a private owner for conversion to a houseboat on the Thames. Her steam machinery was removed and replaced by a petrol engine. Renamed Treleague she remained on the Thames as a family houseboat for some 20 years. She was purchased by an antiques dealer as a restoration project but it proved to be too expensive. 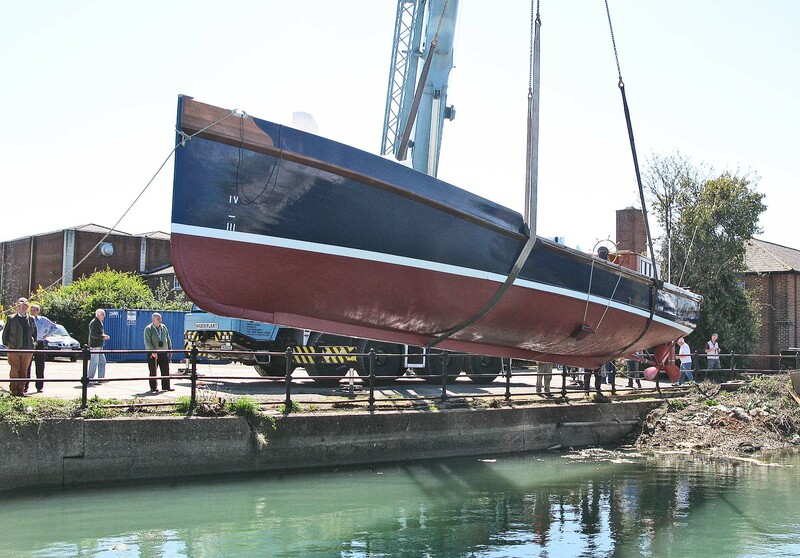 The bare hull was then acquired by the Royal Museum (as it was then known) in 1979 for renovation by the Steam Launch Restoration Group in Gosport under the guidance of the late Peter Hollins (who was awarded an MBE for his restoration work on old boats). 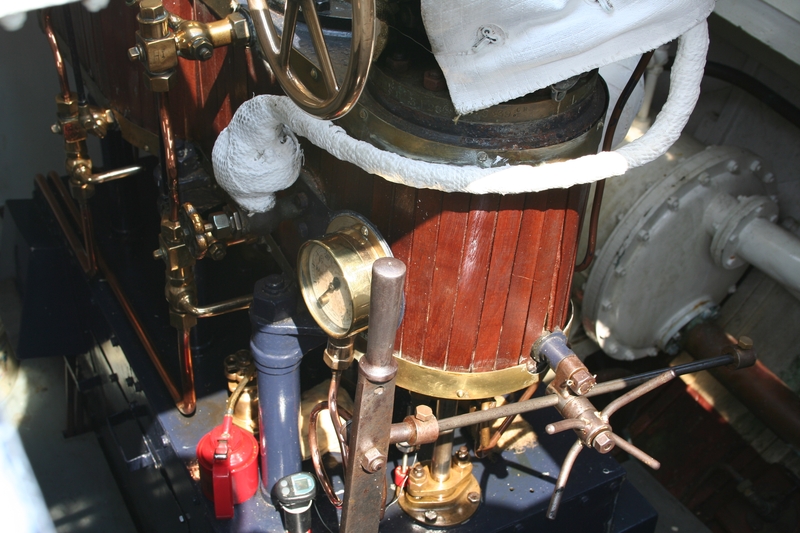 A slightly older pinnace boiler and an engine from a similar steam pinnace were obtained from HMS Sultan. The admiral's barge counter stern was rotten and was removed. 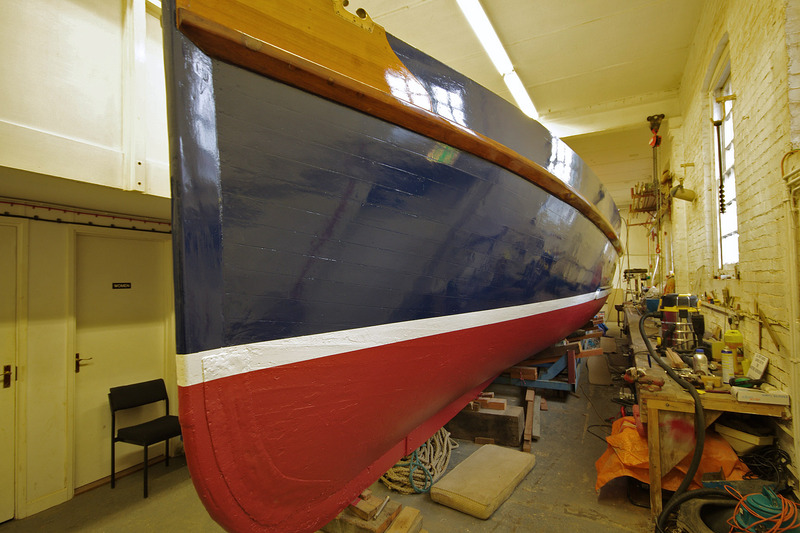 The Restoration Group developed into The Maritime Workshop which became responsible to the museum for the pinnace's maintenance, manning and management. 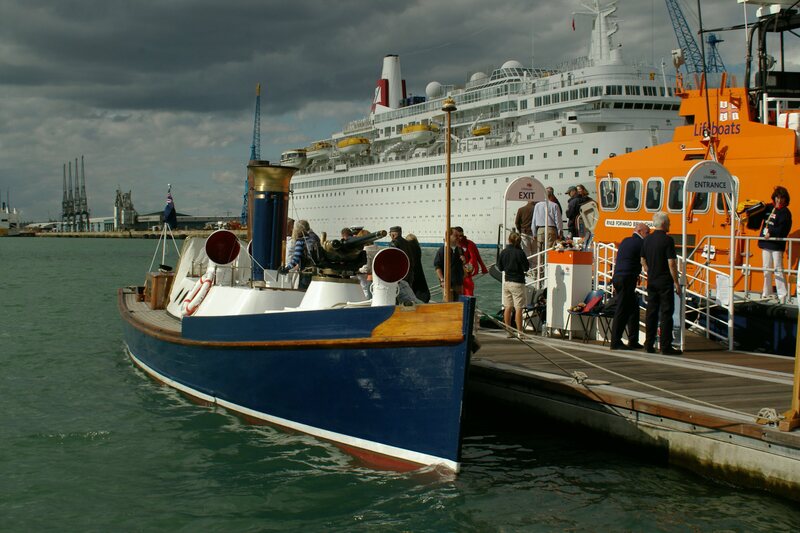 Until early 2012 she was moored in Fort Blockhouse (formerly HMS Dolphin) and was regularly seen at Navy Days, Naval Base Steam Days, The Old Gaffers Festival at Yarmouth on the Isle of Wight and the Southampton Boat Show (see film Link 1 below). In May 2011, 199 developed some boiler tube leaks and late in 2011 she was awarded £50,000 by the Heritage Lottery Fund. The Friends of the Museum donated a further £30,000, the Gosling Foundation £5,000 and there were also two private donations. In February 2012 she was towed from her mooring in Fort Blockhouse to The Maritime Workshop. 199's machinery space cover was craned off followed by the main engine and boiler. Then she was lifted onto a specially prepared wheeled trolley and man-handled into the covered workshop before being transferred to more traditional blocks and shores (see film Link 2 below). Mark Filer, a steam traction engine specialist on the Isle of Wight, and his team replaced the 860 tubes. Meanwhile sections of the hull had timbers replaced, including part of the keel and the hog; several of the interior bulkheads were replaced and, following an International Paints' survey, timers of the hull and the steel within the hull were prepared and painted. She was relaunched in 2015. The engine and boiler were refitted into the pinnace and major steam system pipes were added. It later became apparent that the shaft had become seized and efforts were then concentrated on having the vessel lifted out for this problem to be investigated. 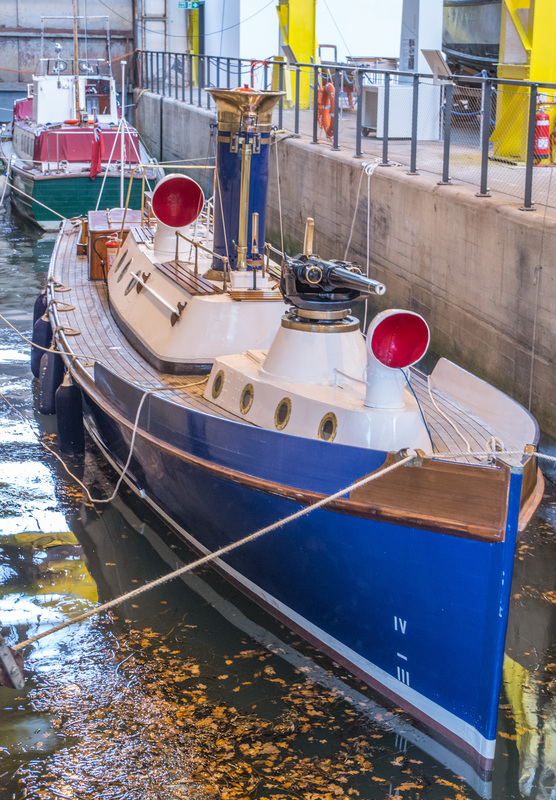 Serco lifted the vessel from her dock and moved her into their workshop area where her propeller was removed, together with her 16-foot long shaft which underwent an alignment check. The 'A' bracket was found to be 18mm high, causing the shaft to be tight and so this was corrected with new packing pieces. The opportunity was taken for a full upper deck and hull paint and antifoul respectively. 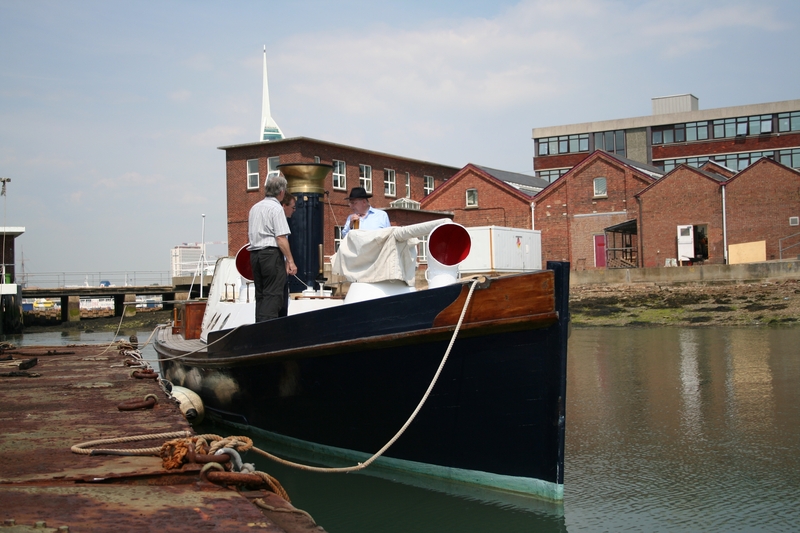 Steam Pinnace 199 should be back afloat in November 2018 in Boathouse 4 at Portsmouth Historic Boatyard.